A legal analysis of the proposed enactment of a Transparency Act in Thuringia. Geographical Indications (GI) protect local goods and traditional production processes against imitation and misuse. A new research project around Andrea Zappalaglio and Suelen Carls will examine the legal system of GI in an overall assessment. 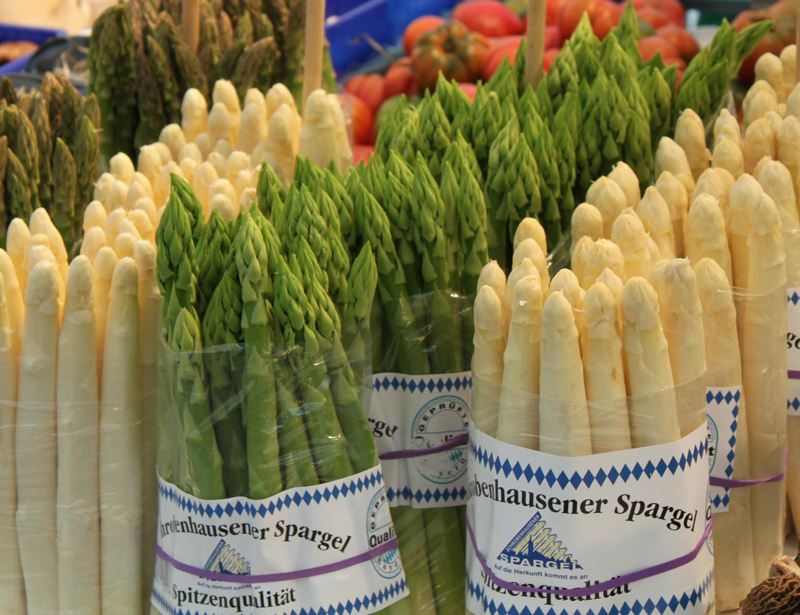 “Schrobenhausener Spargel”, “Asparago verde di Altedo” or “Brabantse Wal asperges” are not only names of different types of European asparagus. Their producers succeeded to be granted the protection of a geographic indication (GI). More than 1.440 names of agricultural products are registered in the EU-Database DOOR, not to mention the many wines, spirits and fortified wines that appear in other specific registers. Andrea Zappalaglio and Suelen Carls, Senior Research Fellows at the Institute know about the economic and legal importance of the sui generis protection of origin. “A GI is first of all a label that protects a geographical name. However, the GI system as a whole constitutes a complex “quality scheme”, related to a number of relevant policies of the EU, especially, although not exclusively, the Agricultural one”, Suelen Carls explains. “There is a value in the origin link that could be used to achieve goals unrelated to the mere market function of the label, such as fostering rural development. However, whether this really works effectively is controversial”, Andrea Zappalaglio, the project coordinator, says. As part of the EU’s system of intellectual property rights, GIs provide legal protection against imitation and misuse within the EU and in non-EU countries where a specific protection agreement exists. Non-European producers can also be granted with a GI in the EU. Products with GI-labels create a considerable market value by providing the producers a competitive advantage and creating expectations in the consumers as to the characteristics, qualities and reputation linked to the geographical origin and traditional know-how of the goods. India already makes use of GIs, especially for the protection of handcrafts, and, more recently, also China began employing a sui generis system of protection. The researchers’ team will conduct an overall assessment of the EU GI system for the protection of agricultural products and foodstuffs. “Using the structure of Regulation 1151/2012 as a trail, we aim to focus both on the substantive nature and on the procedural complexities of this right, from an empirical and comparative perspective”, explains Andrea Zappalaglio. The researchers will also focus on the future of GIs in Europe. For instance, it will explore and assess the issue of the extension of GIs to handcrafts. On 26 March, the European Parliament votes on the EU Copyright Reform. Valentina Moscon and Reto M. Hilty have analyzed the legal consequences of the planned reform. In an interview, they explain why the planned directive misses its central objective. Valentina Moscon, Senior Research Fellow at the Max Planck Institute for Innovation and Competition in Munich, and Director Reto M. Hilty lead the project group for the modernization of copyright law. The legal experts have already analyzed the effects of the planned reform at an early stage of the legislative process in a statement and compared them with the current draft resolution. Their conclusion: the directive misses its central objective over long stretches. The proposed Directive 2016/0280 COD aims to adapt copyright law to the digital age and the digital internal market in order to keep pace with technological progress, changing user behaviour and new business models. Two articles of the planned directive have been particularly criticized: Article 11, which in its current version has become Article 15, provides a neighboring right for press publishers throughout Europe. News services will pay press publishers for short text excerpts from press articles - so-called snippets - on their pages. 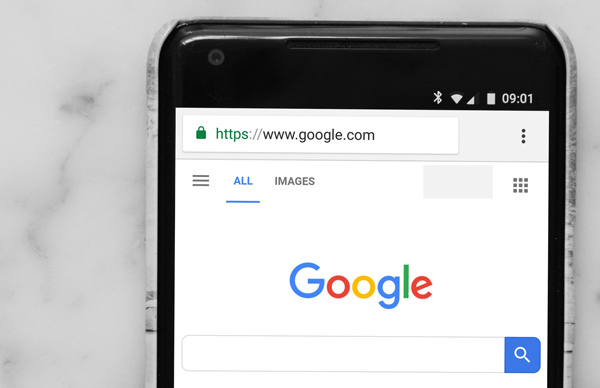 Article 13 - now Article 17 - is also controversial: it provides liability of commercial platforms such as Youtube and others for unauthorized uploading of copyrighted works by its users. The one thing all smart devices need – whether in industry, agriculture, or the common household – is data. In his new study, Josef Drexl proposes guidelines for the the future EU legal framework for the digital economy. 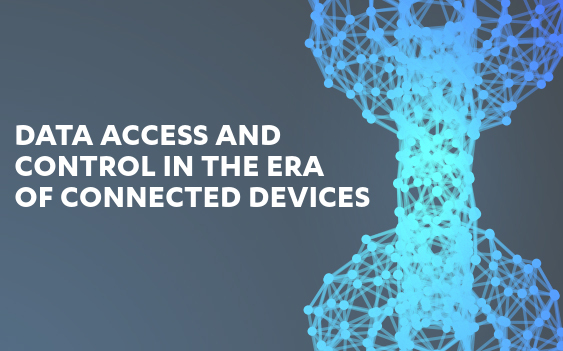 On behalf of the European Consumer Organization BEUC, Josef Drexl has authored a study on data access and control in the era of connected (smart) devices. The study comprehensively analyses the interface of existing and evolving intellectual property legislation (with a focus on sui generis database rights), trade secrets protection, and data and consumer protection rules for discussing the future legal regime for data generated and processed in an Internet-of-Things environment. In line with earlier Position Statements of the Institute, the study rejects legislation on data ownership rights. Furthermore, it explores the possibilities and core requirements for a general data access regime on the EU level, which would complement competition rules and could be spelt out more concretely in the framework of sector-specific data access regimes. On the occasion of the opening of the German Research Summit 2019, Dietmar Harhoff points out in his keynote, that the German AI Strategy needs more agility in politics. The keynote is available here (in German). The German Research Summit annually gathers around 400 decision-makers, experts, thought leaders, and newcomers in science, economics, society and politics to discuss the further development of the German innovation system. It is organized by the Stifterverband, a joint initiative started by companies and foundations promoting education, science and innovation in Germany as well as the National Academy of Sciences Leopoldina and the Commission of Experts for Research and Innovation (EFI). 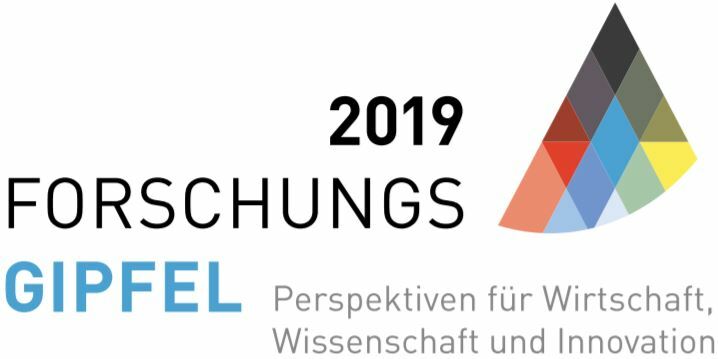 The special focus of the German Research Summit 2019 is on Artificial Intelligence (AI). „Outline for a German Strategy for Artificial Intelligence“ by Dietmar Harhoff with Stefan Heumann et al. Despite the controversy surrounding the European Parliament’s proposal to introduce a press publishers' neighbouring right, Switzerland has now tabled the same proposition. A group of Swiss legal scholars including Reto M. Hilty show why such a right does more harm than good. The planned introduction of a neighbouring right for press publishers is based on a proposal from the Swiss Media Association. In the preparatory Commission for Science, Education and Culture of the Swiss Council of States the proposal was approved. Similar to Article 11 of the proposed Copyright Directive of the EU, the Swiss proposal envisions having news service providers pay a remuneration to Swiss press publishers when they lead readers to them via short linked texts, or “snippets”. The fact that the proposal for a neighbouring right for press publishers (Article 37a of the Swiss Copyright Act) was put forward so late in the legislative procedure drew both from legal scientists and from the creators. The country had so far always shown a wait-and-see attitude when it came to adopting EU regulations. In a first debate at the Council of States on Tuesday, the small chamber returned the proposal back to the preparatory Commission. The Max Planck Institute in a position statement dealt intensively with the legal repercussions of the EU copyright reform at the very beginning of the European legislative procedure. Prof. Reto M. Hilty also criticized the current compromise proposal in an interview before the final vote in the EU Parliament scheduled for the end of March. The copyright expert explained that the legislation has lost sight of the goal of modernizing copyright law. Link to Position Statement "Modernisation of European Copyright Rules"
Neighbouring rights and platform liability: The European copyright reform entails far-reaching changes. In the view of the managing director, Prof. Dr. Reto M. Hilty, the key concerns of the reform have not been implemented even with the compromise proposal. He explains the reasons in an interview. The Max Planck Institute for Innovation and Competition had already commented at an early stage of the legislative process commented on the EU Commission's proposal for a Directive on Copyright in the Digital Single Market in a comprehensive statement of September 2017 and suggested amendments. Following the February compromise between the EU Commission, representatives of the European Parliament and the EU Member States, an amended version of the Directive is to be adopted by the European Parliament in April. In an interview, Prof. Dr. Reto M. Hilty, managing director of the Institute and head of the project group on the modernisation of EU copyright rules, gives his views on the currently planned version. In his keynote, Dietmar Harhoff presented considerations on the development of Artificial Intelligence (AI) and the prospects of Europe, Germany, and Bavaria in the global scientific competition and the creation of value. The presentation slides are available here (in German). The German Digital Summit, formerly National IT Summit, is a central platform for the cooperation of politics, business, academia, and society in shaping the digital transformation. The special focus 2018 was on Artificial Intelligence. The Federal Government adopted its Artificial Intelligence Strategy on 15 November 2018. The strategy was drawn up under the lead responsibility of the Economic Affairs, Research and Labour Ministries following expert meetings and public consultations. The main theme of the 2018 Digital Summit takes up this process and adds the expertise of the Digital Summit network. Dietmar Harhoff's presentation within the scope of the panel „Artificial Intelligence in Bavaria“ is also available as video (in German).